Warfronts are exciting, new, fun content, but I didn’t expect them to throw me an emotional gut-punch. 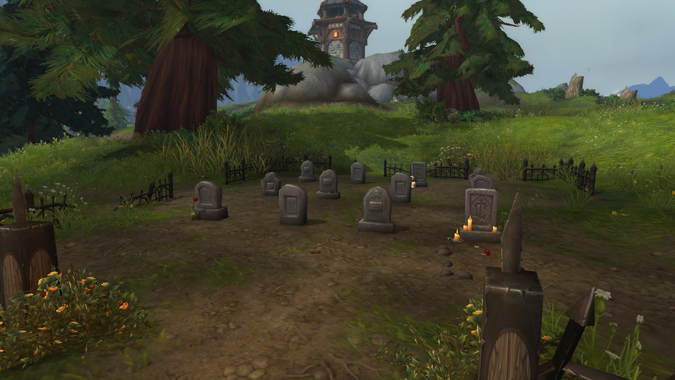 This is very much the case in Arathi Highlands which received a stunning makeover in the new Warfront, including a graveyard. 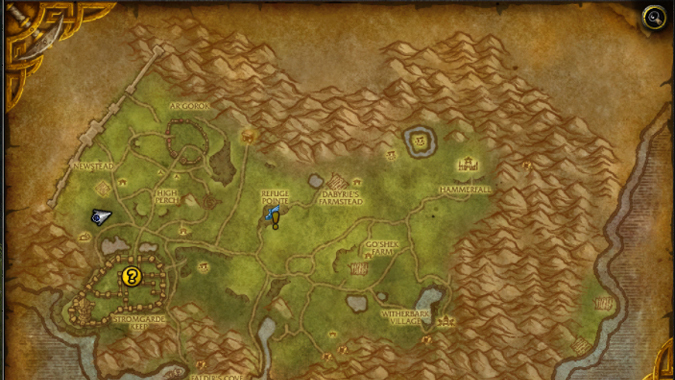 It’s located on the western side of the new Warfront, south of Newstead. So what’s so special about it? Players that have read Before the Storm will immediately recognize the significance, but if you haven’t you may wonder what the deal is. If you’re avoiding spoilers, you might want to turn away now. But if you’d like to know what’s up with these graves — read on! For those of you who haven’t read (or need a refresher), here’s the summary. In Before the Storm, a group of Forsaken known as the Desolate Council is leading the Undercity while Sylvanas is away being Warchief. It’s not a coup: someone has to keep the Undercity running on a day-to-day basis. But the Council has a different attitude towards undeath than Sylvanas does: its members not only remember their previous lives, but do so with utmost fondness. Working with Anduin, they arrange a meeting between the Forsaken and the living families they’ve left behind. The gathering took place in Arathi Highlands under a ceasefire — the Alliance would not attack the Horde, and vice-versa. Families were reunited and old bonds were reforged. The gathering was such a success that some members of the Council attempted to defect and follow their families back to Stromgarde. That’s where Sylvanas intervened and it all went horribly wrong. To her credit, Sylvanas did not order an attack on Anduin or any of the Stormwind forces in attendance. She just murdered the majority of the Desolate Council instead. Every headstone in this graveyard marks a character that died in Before the Storm. Elsie was the leader of the Desolate Council, and formerly the wife of Wyll Benton — one of Anduin’s personal servants and close friends. Tomas Gray was once a guard in Lordaeron, who reunited at the gathering with his close friend and brother in all but blood, Osric Strang. Jem, Jack, and Jake Felstone were the three sons of Emma Felstone, who players may recall more fondly as Ol’ Emma, a woman who wanders Stormwind fetching buckets of water (and grumbling about it, as you do). And Parqual Fintallas was once a historian with a daughter — one he missed terribly. It was Parqual who initiated the defection, after realizing the gathering was likely the only time he’d see his beloved daughter Philia. He was right… but not for the reason he’d initially surmised. Closer inspection of the graves reveals some personal effects left behind. Elsie’s grave has her wedding ring on it, and Parqual’s grave includes his daughter’s beloved teddy bear which he returned to her during their meeting. The end of Before the Storm briefly touches on the funeral for these characters, and this subtle tie-in works really well because of the subtlety. The graveyard doesn’t really feature heavily in any quests, it simply exists. 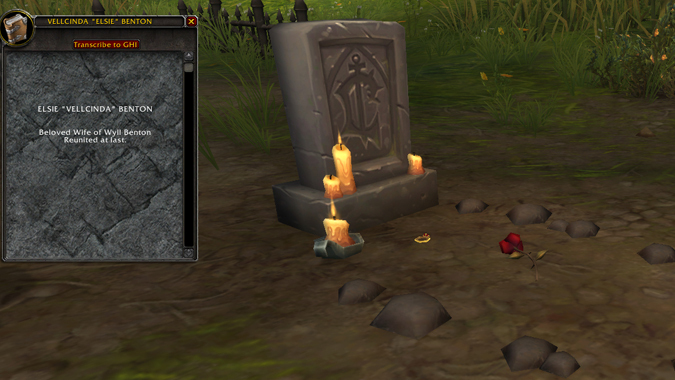 It’s a nod to events that happened outside the game, and a heavy reminder of just what happened in Arathi. It’s a monument to those who paid a terrible price for the sake of those they left behind, and an example of just how ruthless Sylvanas can be. You can visit the graveyard for yourself in the Arathi Warfront — and if you’re interested in picking up Before the Storm, it’s available on Amazon in hardback, paperback, and ebook editions, as well as an audio book version read by Josh Keaton, the voice actor for Anduin Wrynn.